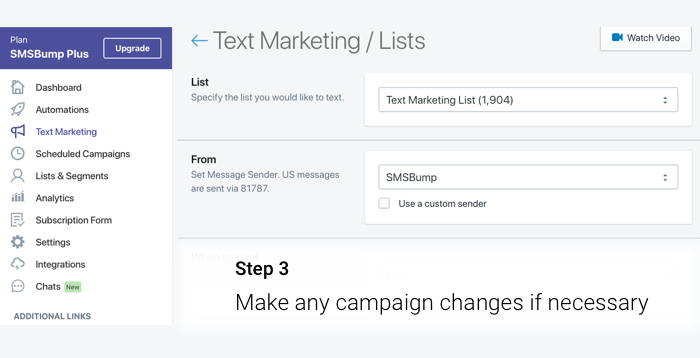 One of the newest features in SMSBump is now available - Repeat Campaigns! 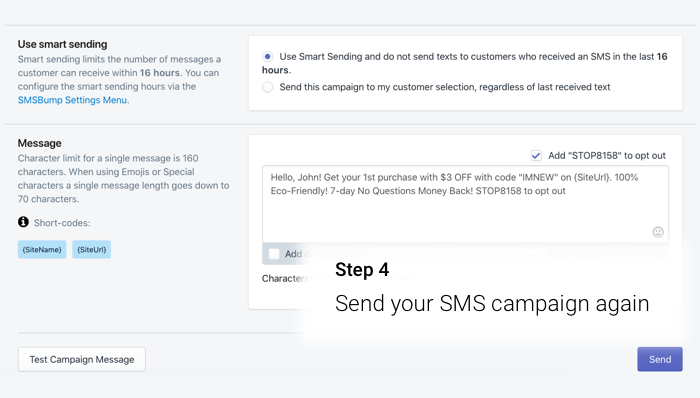 It’s designed to let you to manage your SMS marketing campaigns easier, and more specifically to repeat the successful ones with a single click. You can do it in a few steps, let’s show you! 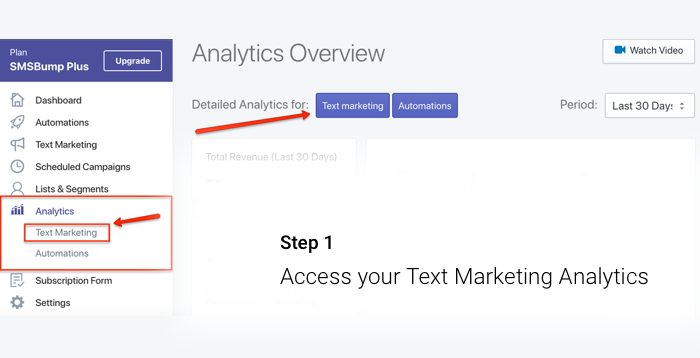 Go to the Analytics in your SMSBump Dashboard and select Text Marketing. 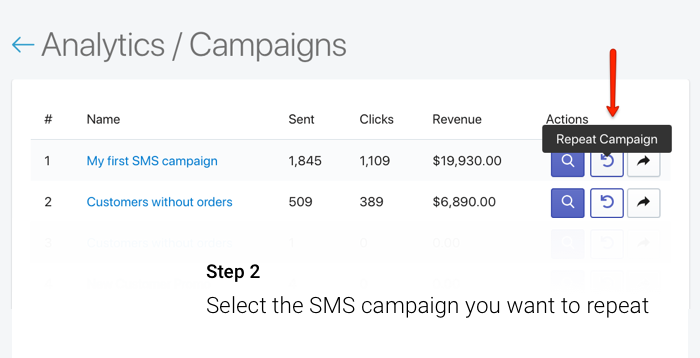 This will lead you to all the SMS marketing campaigns you’ve launched so far. Select the SMS marketing campaign you want to launch again. These are the available metrics in this section, but you should also be mindful of the previous recipients of the campaign and if it’s still relevant to them. But more on that later. Selecting Repeat Campaign will lead you to the campaign creation process. 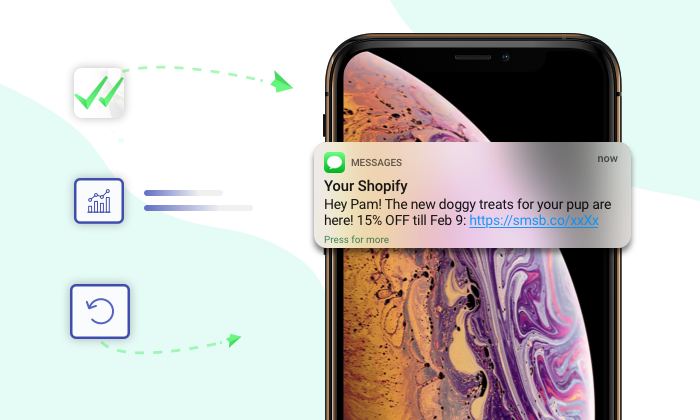 Since you’re repeating the SMS marketing campaign, it’s likely you don’t want to make changes, but you can still change anything you like about it so it’s as relevant to your customers as possible. Re-launch your SMS marketing campaign! Take one last look at the text message you’re sending again and make sure everything is in check. Analytics > Text Marketing > Repeat Campaign > Send!